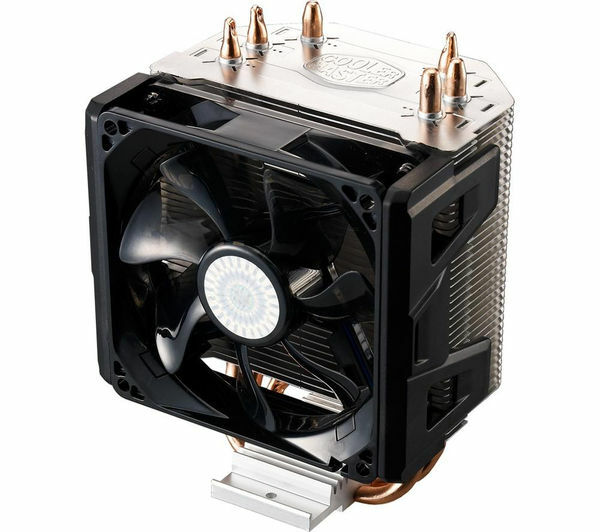 Ensure your processor stays perfectly cooled with the Coolermaster HYPER 103 RR-H103-22PB-R1 92 mm CPU Cooler. There are three direct contact heatpipes with aluminium fins that help to draw heat away from your processor when you're working it hard. 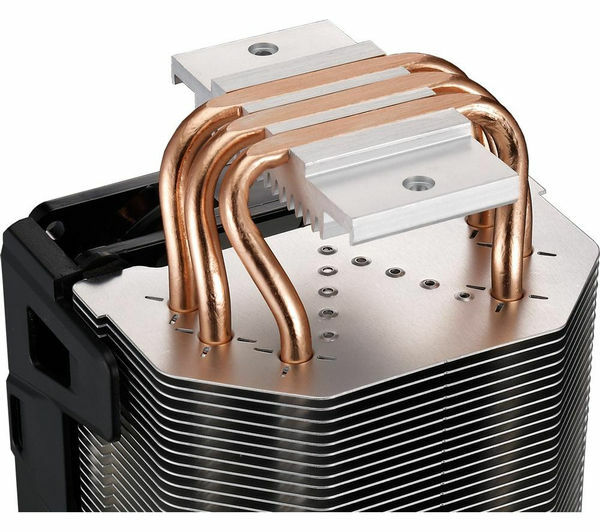 With X-Vent and Air-Guide technology, the HYPER 103 direct airflow towards the heatpipes and away from your processor. This will help to cool your processor quickly. 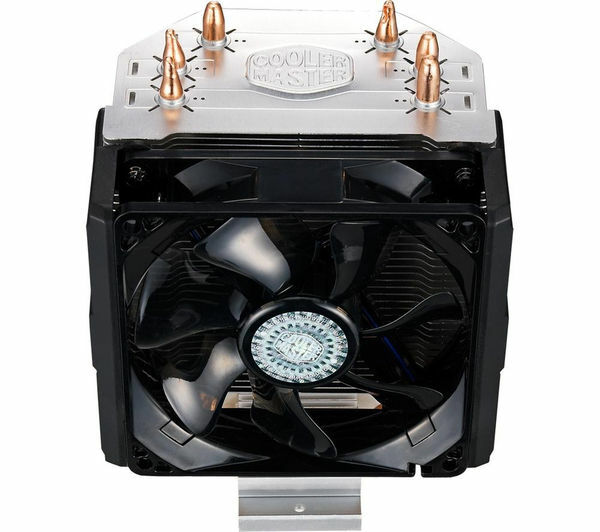 This cooler includes a 92 mm fan with a wide range of fan speeds to you'll be able to find the right fan speed to suit the processor's workload. 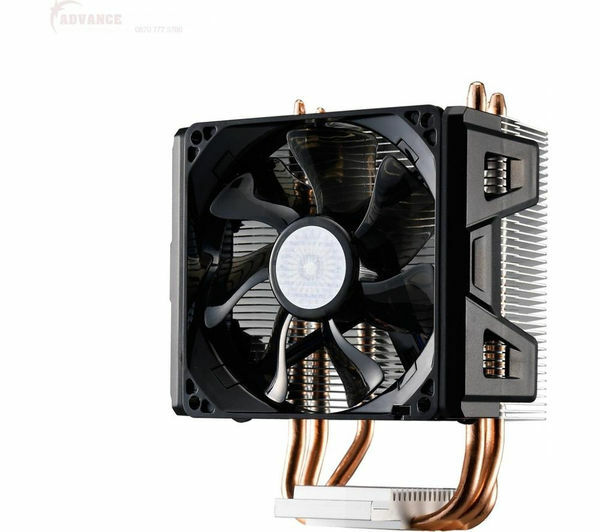 You'll be able to control the fan speed to increase airflow, or reduce the speed for quiet performance. 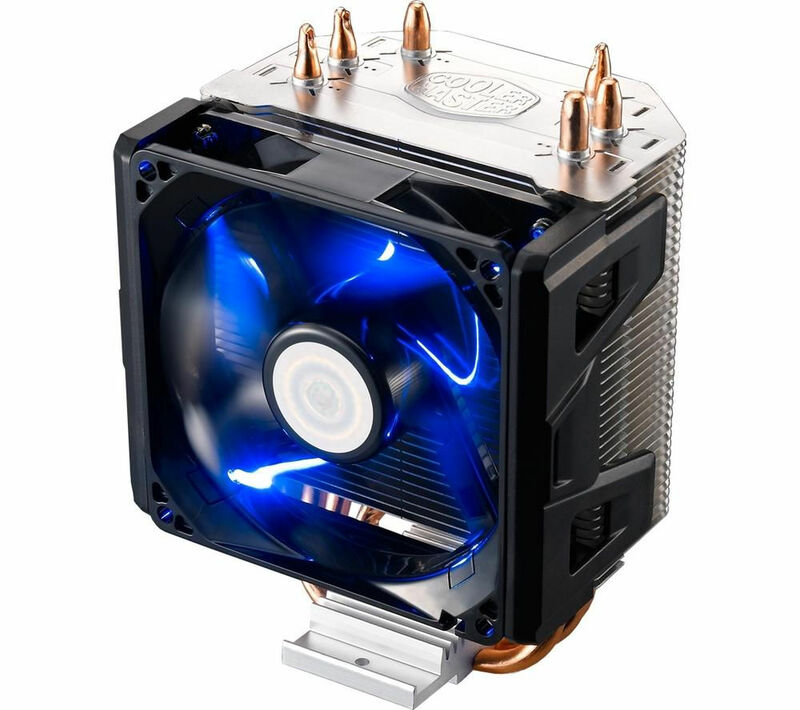 The fan includes blue LED lighting to give your PC more attitude. There's no need to use your PC toolkit with the HYPER 103.The tool-free mounting system means you'll be able to install the cooler without hassle. Turn up the heat on your gaming but not your processor with the Coolermaster HYPER 103 RR-H103-22PB-R1 92 mm CPU Cooler. Easy to fit with the many of fittings. Good fan to keep the heat sink cool.